Steve Rose edits and produces written content across all three Faith Matters platforms – Faith Matters, Tell MAMA UK and now Religious Reader. Steve has been instrumental in the set of Religious Reader and brings with him a journalistic background. His interests lie in hate crime work, investigating Far Right and extremist groups and faith communities. 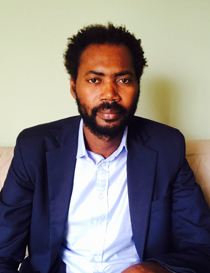 Fiyaz has worked in a number of organizations providing training to women right through to European transnational faith related programmes and advice and information projects. Currently, Fiyaz Mughal is currently the Founder and Director of a not for profit organization called Faith Matters (www.faith-matters.org) which works on reducing extremism and developing platforms for discourse and interaction between Muslim, Sikh, Christian and Jewish communities right across the UK. Faith Matters also works extensively on community cohesion, interfaith, conflict resolution and prevent programmes at a local, national and international level. 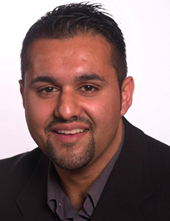 Fiyaz is also the founder and Director of the national anti-Muslim hate crime monitoring project called TELL MAMA. TELL MAMA ensures the mapping monitoring and measuring of anti-Muslim hatred across England and Wales and is the only national project that works in this area. Since 2012, the project has assisted over 1,500 people and ensured over 100 arrests across the country. Modelled on the Community Security Trust, it has fast become a well-recognised brand in the field of hate crime work.